The letter also discussed environmentally sensitive waterways in the area through which that route would run. 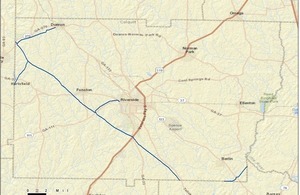 The Flint River, for example, is one of a number of waterways underneath which the pipeline would run. 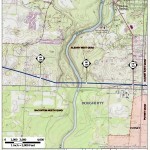 The Ochlockonee River Basin, Radium Springs in Albany, the Chickasawhatchee Swamp and longleaf pine populations are among other sensitive habitats mentioned. “EPA requests the proposed action avoid high functioning, high quality, and rare systems,” it said. “The (environmental impact study) should identify any wetlands identified as being of particular sensitivity (e.g., identified by the state as of particular value, presence of the ESA species). For example, Limesink wetlands are a common aquatic habitat in Southwest Georgia” that are an important wildlife habitat. In an email response, Spectra said it will address the EPA’s concerns in its environmental impact statement, which is expected to be prepared by spring 2015. 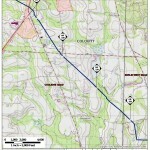 Sabal Trail will need to do better than the sketchy comments it posted to FERC the same day as EPA’s questions. EPA also recommended that Florida Power & Light, the end user, consider alternative methods of serving customers. These include conservation, alternative energy sources and importing liquefied natural gas from Mississippi. Electricity sales apparently peaked in 2007, the agency’s letter said. Here’s evidence that U.S. electricity demand peak in 2007, and that it continues to decrease, while solar power goes up like a rocket. 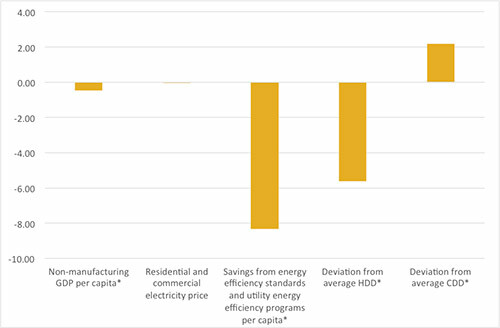 Energy efficiency has improved with increased use of more stingy light bulbs and appliances and more energy efficient buildings. LED lights plus automated networked controls to turn them on only when needed in large corporate and government buildings could save enough money to shut down the entire U.S. nuclear fleet. This could be done as quickly as enough bulbs could be produced, with no 100-foot-wide right of way, no poking holes in the fragile karst limestone Floridan Aquifer, and no risk of explosion. How about FPL spend that $3.5 billion on LEDs and other energy efficiency measures, plus solar power?